One moment you're tapping away on your phone, breezily texting with the people in your life, and then you suddenly realize an important text message you sent is gone. If you don't yet know how to retrieve deleted text messages, you're probably freaking out. Not to worry! You can learn how to get deleted text messages back on any phone. As iPhone users know, iCloud is a handy option for keeping your data backed up and it can be a real life-saver in these kinds of situations. If you've been backing up your iPhone to iCloud or iTunes, you have a good shot at recovering the text message you deleted. This process involves restoring your device with data from a recent iCloud backup. Any messages present on your phone at the time of the backup should be retrievable. This method is not for the faint of heart, though. You'll first need to delete the data currently stored on your iPhone, then restore your iPhone with all the data from a recent backup. Go to Settings > General, then scroll down and tap Reset. Turn on your iPhone and begin setting it up as if it were brand new. When you arrive at the window titled Apps and Data, select Restore from iCloud Backup. Alternatively, you can choose to Restore from iTunes Backup if you've been backing up directly to your computer using iTunes. See below for more details on this method. Your iPhone may ask you to sign in to your iCloud account using your Apple ID and password. Do so to proceed. A list of recent backups will appear. If there is more than one backup, you may be able to choose the backup you want to use by checking its date and time. Only data and messages present on your device at the time the backup occurred will appear on your iPhone after the restoration process is finished. You'll need to wait for a while as the data transfer process completes. Once it's done, you should have all the messages and data you had at the time of the backup you selected. If you regularly sync your iPhone with your PC or Mac, iTunes should have a backup available from each time you synced it, unless you turned off the feature to automatically sync your iPhone with your computer. If you really want to get that text message back and you've been backing your iPhone up to your computer, then you can likely retrieve it using a recent backup. This method erases the data currently on your iPhone and replaces it with a snapshot of the data that was on your iPhone the last time you backed it up. If you aren't comfortable doing this, you may wish to try another method. Connect your iPhone to your computer using an appropriate cable. Your iPhone may ask you to unlock it. If it does, go ahead and do so. iTunes should automatically open. If it doesn't for some reason, open it manually on your computer. You should see your iPhone appear. If iTunes has opened to the iTunes Store and it's hard to find your iPhone, you will find a small icon for your iPhone just below and to the right of the Play button. Select it. In the Backups section on the right-hand side of your screen, you should see options to manually back up and restore your iPhone, along with the date and method of your most recent backup. Select Restore Backup if you wish to proceed. All of the data on your phone will now be replaced by the most recent backup. The process will take a while. You should see your missing text messages begin appearing, provided your most recent backup took place before they were deleted. If neither of the above methods works for you, the next option is to try a third-party app to recover your deleted text messages. There are plenty of apps out there designed to help you recover deleted text messages, many of which offer free trials and can be used to recover other types of lost data from an iPhone as well. If you're wondering how to retrieve deleted texts on a Samsung Galaxy or another Android device, the story is a little different. Since Google's cloud service doesn't back up text messages, your best bet is to use a message recovery app to recover deleted texts, then get to the habit of regularly backing up your device so you're covered in the future. It can be stressful realizing you've accidentally deleted an important message, but with some patience and the right tools you can often recover deleted messages. 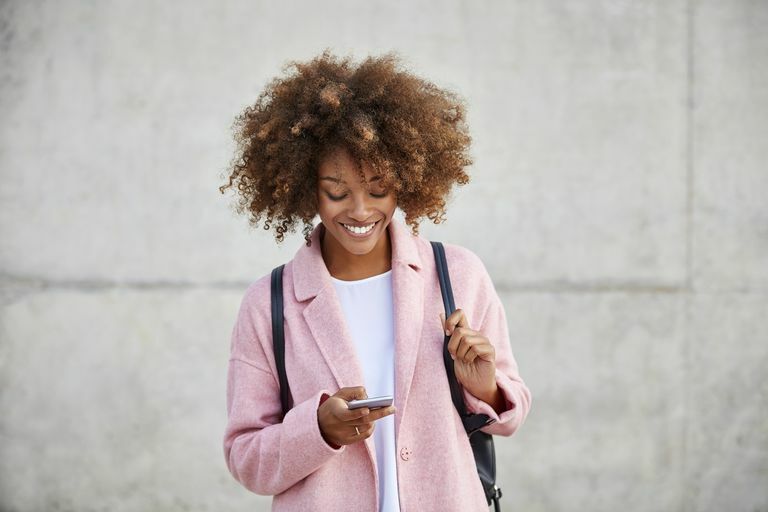 By making sure your iPhone or Android device is regularly backed up, you can have the peace of mind of knowing you'll never lose another important text message again.